Premiered in December 2014. It's essence examines ideas of 'home' both in literal and abstract forms. Juxtaposing our body architecture to the structures around us, Body | House faces how we continue to make home despite our inevitable impermanence. An intimate yet cold duet echoing mating behavior. 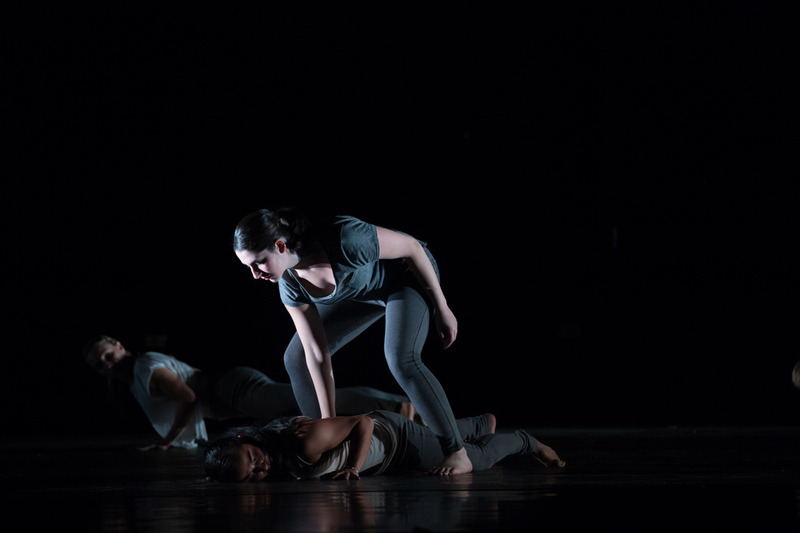 In partial fulfillment of a Master of Fine Arts degree in dance from Hollins University | American Dance Festival, I produced both performative and written sections of 're-| Dream With Me'. The seeds of the research lie in architecture- the carefully designed structure of something- specifically spiral structures and their correlation to, or manifestation of the self, of nature, of becoming... How can we re-shape and re-imagine each moment allowing for possibility to unfold? Re-fresh, re-new, re-write the histories and stories that bind us to a fixed identity and a fixed world..
'White Well', also known as 'Talking to the Falx' is a mixed media | instillation work created over three summers at Hollins University in Roanoke, VA. It was performed in both duet and solo forms as well as an experimental film.